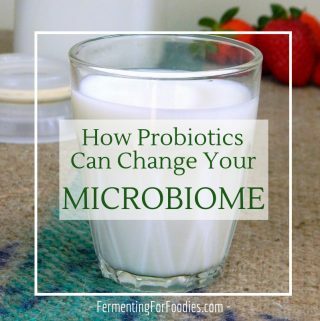 What if you need probiotics but you don’t have time to ferment? 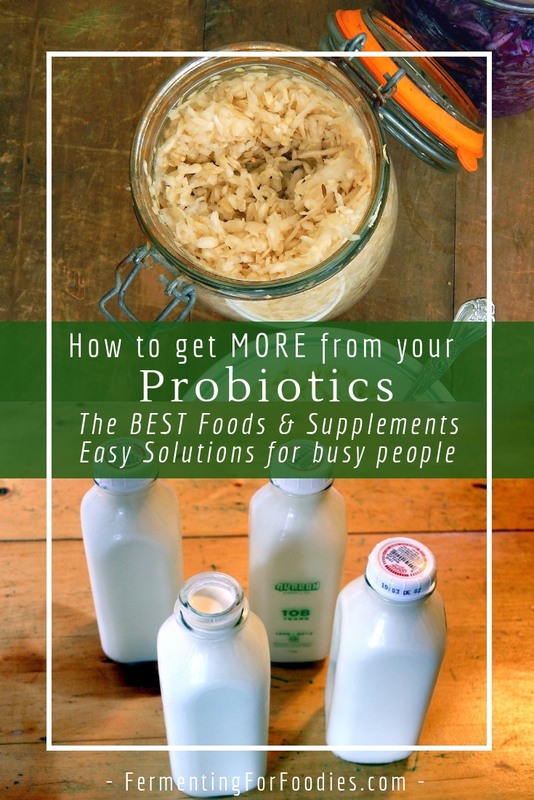 I received two emails in the past few months from busy families that really need the health benefits of probiotic foods, but simply don’t have the time to make homemade ferments. One family has 4 young boys who had gone through a bout of heavy antibiotics. The other family has with newborn and an asthmatic toddler who is chronically sick. 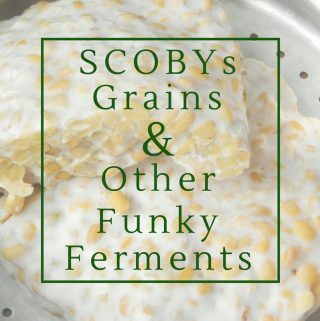 Both of these families are so busy staying on top of regular cooking / cleaning / laundry that they couldn’t imagine finding the time to squeeze in some fermentation. I sent them both personalized emails with ideas about ways they could rebuild their families’ microbiomes without going through the process of making homemade yogurt, kombucha or miso. After the second email, I realized that I clearly needed to write a blog on the topic! 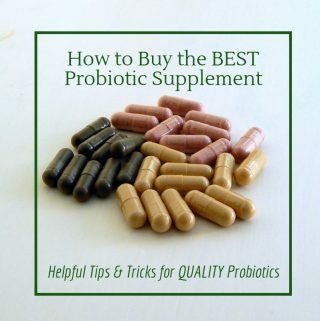 Probably the easiest way to get more probiotics into your life is to buy probiotic supplements. The only problem with probiotic supplements is that there is a huge variability in effectiveness. While I haven’t explored the effectiveness of various probiotic supplements, Reviews.com has an article comparing a range of different supplements. that I’ve seen at the checkout in my local grocery store. Yogurt is probably the easiest off-the-shelf probiotic to find. If you’re looking to improve your microbiome, then only buy plain yogurt and add the fruit at home. Flavoured yogurt is unlikely to be teaming with latic bacteria. I have a few favourite brands that I use to make my homemade yogurt. They have a really vigorous culture, which means that they are definitely a good source of probiotics. There are a number of other probiotic dairy foods that are easy to buy. Buttermilk, sour cream and fresh cheeses all are made with bacterial cultures. Just read the labels to make sure that they have been cultured. It will be on the list of ingredients. in the refrigerated section of your grocery store. To get the benefits from these foods, eat them raw. 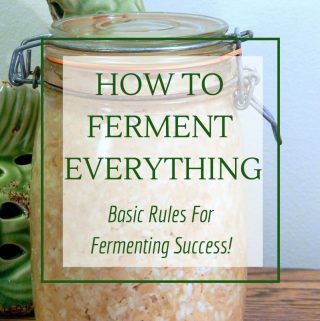 OK… I realize that this goes against the whole “what to do if you don’t have the time to ferment… but you will get the best probiotic benefits from fermenting in your own home. Our digestive system is pretty darn harsh, and most probiotics get their butts kicked by stomach acid. However, bacteria still manage to live on every surface in our body. Fermenting in your home results in a healthy microbiome within the air of your home. You will have your probiotics living on your skin and in the air that you breath it in. This means unhealthy air in a home can make it hard to ferment. But regularly fermenting at home will quickly change the environment. If you aren’t certain about fermenting at home, then start with sauerkraut. Organic cabbage comes with it’s own vigorous culture so it’s an easy ferment to start with. 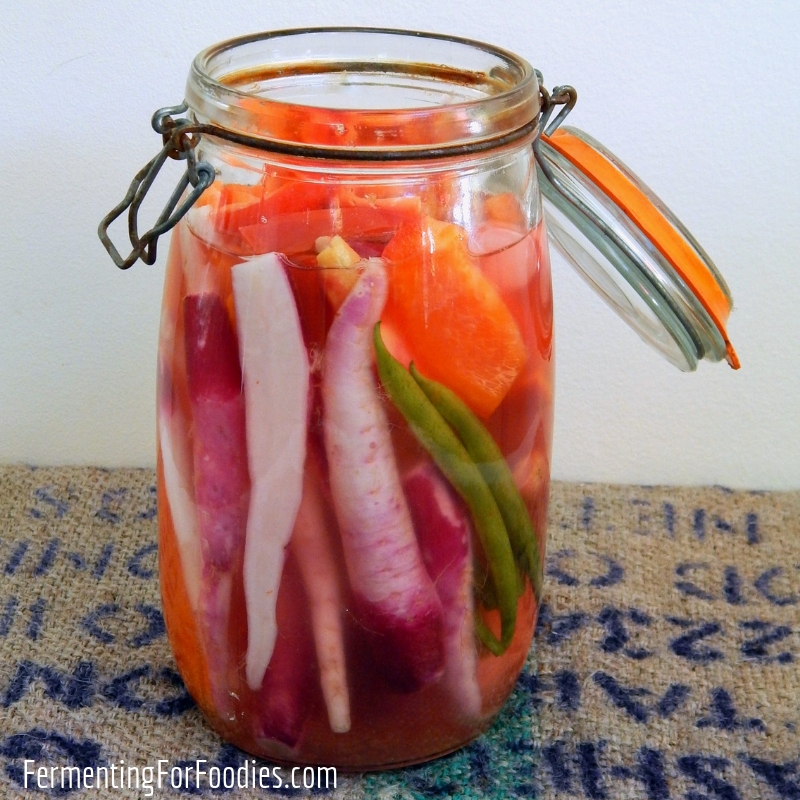 I also recommend fermenting vegetable sticks, since they are just as easy.